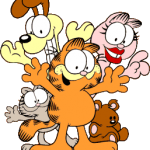 Ryan, back again. . . . Today’s Top 5 are cartoon characters you don’t want to lend money to. 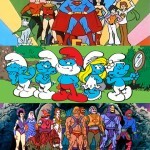 I know they aren’t all strictly 80s, but hey, I remember them being on in the 80s, so that counts! I have the POWER! 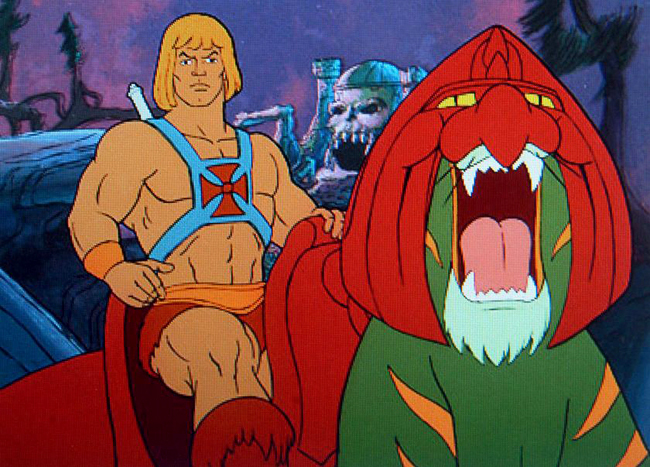 While the guy may be cool, have a sword and ride a huge cat around, there are still a few things that worry me. For one, the guy has to talk himself into being strong. He can’t just be “Adam,” he has to shout it out loud, and that is just not enough self confidence to make me believe he would ever repay me. He has that Justin Bieber, minus the bangs, haircut, so that alone makes me think he’ll put any cash he can find into Great Clips. Plus, the #1 rule in lending money – don’t ever lend it to a guy in a metal crotch shield. 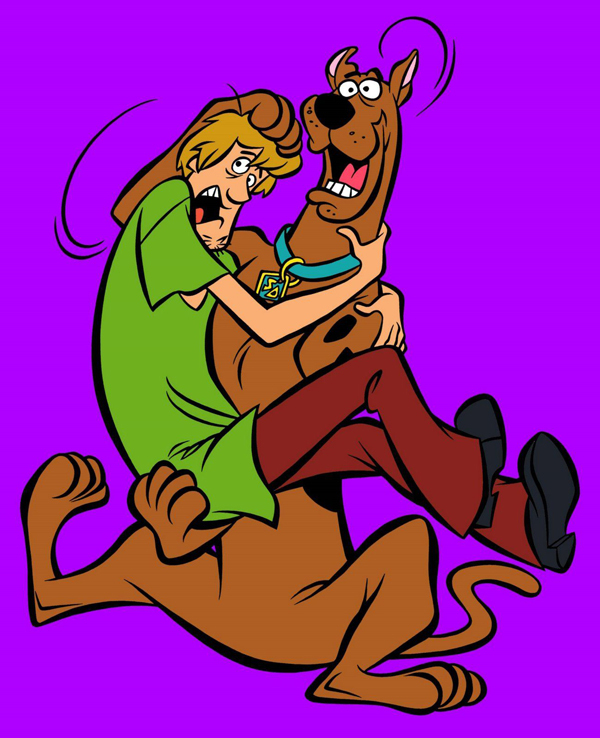 Goes without saying. . . .
Shaggy Rogers (yes, he had a last name) is the kind of guy you just feel sorry for when you hang out with him. He can’t shave, shown clearly by his 7 individual chin hairs that continually don his mug. He has terrible posture. His clothes are as bland and boring as Velma, and his grating voice sounds like a teen stuck in a never ending battle with puberty. Plus, with Fred around sporting his neckerchief and blonde locks, no way could he ever have a shot at Daphne. 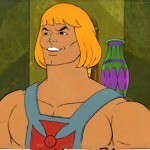 So, imagine what a guy like Shaggy would do with a loan? You’re looking at spinal surgery, a full extreme makeover, and most likely a lifetime supply of Scooby snacks. Worst comes to worst he gets evicted and can live in the Mystery Machine. That thing is a party on wheels! Poor Charlie Brown. He’s the only kid in elementary school that’s bald and he just can’t seem to kick that football. He seems like a frugal child, since he nabbed that tiny Christmas tree for what was sure to be a can’t beat discount, but let’s look deeper at the facts. He goes and pays for psychiatric advice from Lucy, and seeing that he has years of emotional distress, I assume that isn’t cheap. He doesn’t seem to have parents, so I assume he has to pay utilities and bills for not only his house, but Snoopy’s as well. I can’t even fathom the coin he’s dropped on trying to impress the Little Red-Haired Girl. Sorry, Chuck . . . you’re officially out of luck. I’m all about teaching kids that eating your veggies makes you crazy strong and keeps you healthy, but this sailor isn’t getting my salary anytime soon. 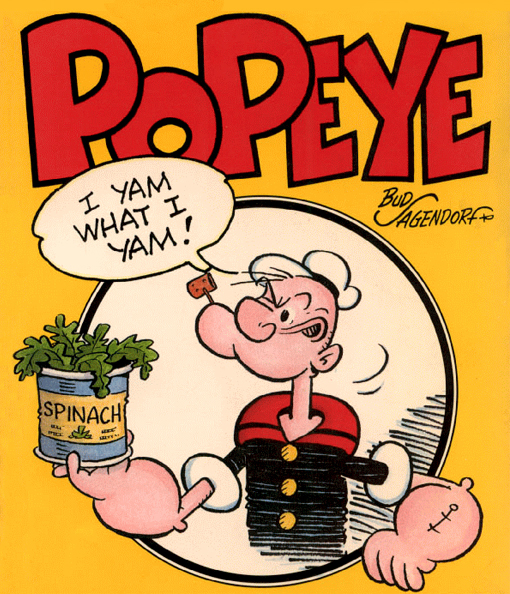 While cans of spinach can’t be incredibly expensive, his pipe smoking habit, and his obvious usage of HGH will lead to nothing but trouble with his health. Have you seen the guy’s forearms? They are really the only strong part of his body, and that cannot be good for his system. It’s like he has inflated water wings built right into them. Do yourself a favor, Popeye. . . . Find a lower maintenance girlfriend that doesn’t share her name with a cooking ingredient and quit footing the bill for Wimpy’s hamburgers. He’s an evil, balding, old man, who’s only friend is his cat. He’s spent eternity trying to capture one of out of 100+ Smurfs, yet, still can’t do it despite the fact that he can make magic potions. It’s only a matter of time before he starts going online and buying some serious ammunition and that is one loan I don’t want to be a part of. 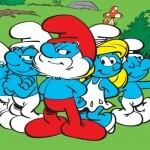 Instead of looking for hand outs, he should be charging those Smurfs a recurring fee for Smurfette! 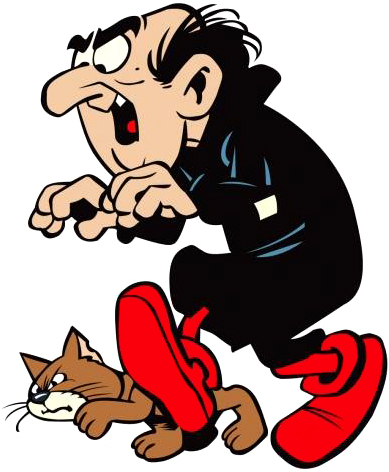 The guy created her, and seeing that she is really the only girl in town, Brainy, Grouchy and the rest of the gang should really start giving Gargamel a residual!